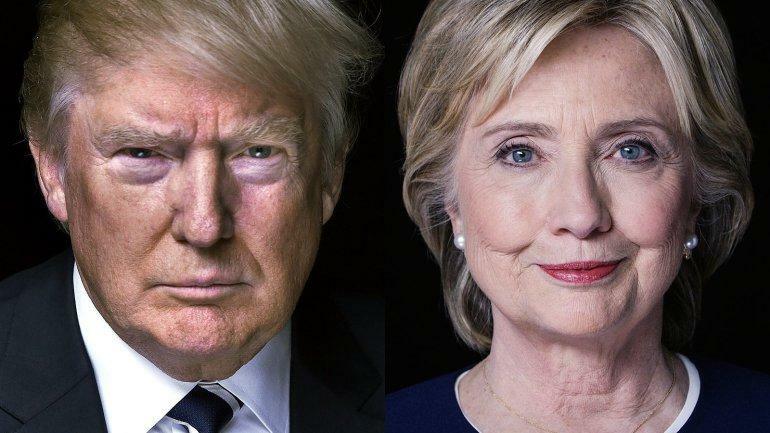 Hillary Clinton and Donald Trump could not disagree more on climate change. Clinton, the Democratic presidential nominee, sees it as a real threat while Trump, the Republican, dismisses it as a hoax. And because climate change can lead to rising sea level, among other things, their views on the subject are important to those who live and work on the Chesapeake Bay. There’s Tony Walters, who owns Crabland in Essex, Maryland, a community squeezed between two Bay tributaries. You can guess by the specialty of the house that his business is tied directly to the health of the Chesapeake Bay. Walters says he will vote for Donald Trump for President, but that has nothing to do with the bay. "I don’t really have a feeling one way or the other about the bay with either candidate," he said. That’s because neither one of them has talked about the Bay. But they have talked about climate change, a subject on which they have sharp differences. Virginia Governor Terry McAuliffe, who was chairman of Clinton’s unsuccessful campaign for president in 2008, says she gets how climate change will affect the Chesapeake Bay. "I’ve had discussions with her about the bay," McAuliffe said. "She understands it, having been a senator from New York, one of the headwater states." Pennsylvania’s governor, Tom Wolf, also a Democrat, also not surprisingly, thinks Clinton is the better choice for the bay. "Hillary Clinton has a great priority in making sure that we have clean air and clean water in the United States," Wolf said. "And I think she’ll be a strong champion of a clean Chesapeake Bay." Governors Wolf and McAuliffe were at a recent gathering of the Chesapeake Executive Council in western Virginia. The council is made up of leaders of the six states in the bay watershed. Maryland’s Governor, Larry Hogan, did not attend. When asked to weigh in on Clinton, Trump and the bay, a spokesman for Hogan dodged the question saying Hogan thinks he’s the bay’s biggest champion. Hogan is a Republican but is not backing Trump. Scientists and environmentalists say the bay is getting warmer because of climate change. And that means trouble for fish, crabs, oysters and other marine life. Warmer water holds less oxygen, which leads to dead zones that suffocate the life that’s there. Additionally, the bay’s water level is rising and scientists believe climate change is why and that that will continue. Shoreline property will be destroyed and land around the bay will be more susceptible to flooding. Christine Gorman, a senior editor at the magazine Scientific American, says a president who believes climate change is a hoax can just sit back and do nothing. Then when the ecosystem starts to crash, it’s too late. "If you wait until after the population’s collapsed you can’t just build them back by adding things," Gorman said. Scientific American graded the presidential candidates' answer to a question about climate change on a scale of zero to five. Trump scored a zero. Clinton got a four. Clinton called climate change an urgent threat and a defining challenge of our time. She said its impacts are already being felt at home and around the world. Gorman says the Democratic presidential nominee believes climate change is man-made. "And she had some things, very clear, concrete things that were feasible that you could do to try to address that," Gorman said. For instance, Clinton says she wants half of our electricity to come from clean sources within 10 years. And she has a goal to reduce American oil consumption by a third by using cleaner fuels and more efficient cars. In his answer, Trump said perhaps our limited financial resources would be better used making sure that every person in the world has clean water. But Gorman says what Trump doesn’t get is that clean water is tied to climate change. Nick Panuzio, chairman of Marylanders for Trump, says the Republican nominee strongly supports clean air and clean water. But since Trump rejects climate change, Panuzio says the candidate is not going to spend much time talking about it. "Now will he have a different position when he is president? I don’t know," Panuzio said. "I don’t think it’s one of the burning issues, at least in his mind right now." Maryland State Senator Johnny Ray Salling’s suburban Baltimore district borders on the bay. He’s a Republican and a Trump supporter and he says the bay is not as polluted as it used to be. 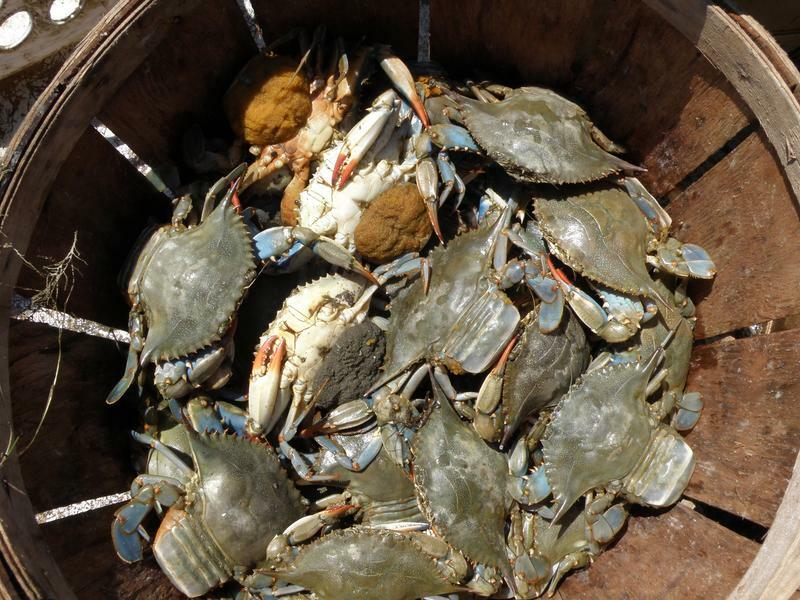 "For instance, the crabs this year have been great,” Salling said. “The oysters have been very good. And I think building on that and the places we made sure that we can still restore the life in the bay I think we can work well and do some great things." He said Trump, who has vowed to gut the Environmental Protection agency as president and send money to the states, would work with the states to continue making things better. Tony Walters at Crabland likes the sound of that. "Each state should take care of their own," Walters said. "Find out which state is working good and people can adopt from those policies." Panuzio says this is a core difference between the two parties. "Republicans do not believe in federal control of our power," he said. "Democrats believe a strong heavy federal government is better for you." But defenders of federal regulation say the environment, including climate change, is a planetary issue, too big for cities and states to handle on their own. Gorman, at Scientific American, says businesses would "rather have one unifying standard that they can deal with" than have 50 sets of environmental regulations from 50 different states. The Chesapeake Bay Foundation, a non-profit, can’t take sides in electoral politics. But foundation president Will Baker says the bay is showing signs of improvement. So now is not the time to back off. "What’s so important about putting more money to work now is that we are investing in that success as opposed to saying the job is done," he said. The foundation says you can see how climate change is affecting the bay now. People who live on Tangier and Smith Islands are losing their homes to rising water. Other islands have disappeared. Flooding along the shore-line is becoming more routine. The next president, and those who follow, whether or not they accept the science, will have to deal with the reality of what is happening in the Chesapeake Bay and in the oceans. Oysters are nature’s filtration machines, and there used to be enough of them in the Chesapeake Bay to filter and clean all that water in three days. Now, there are so few oysters it takes more than a year. 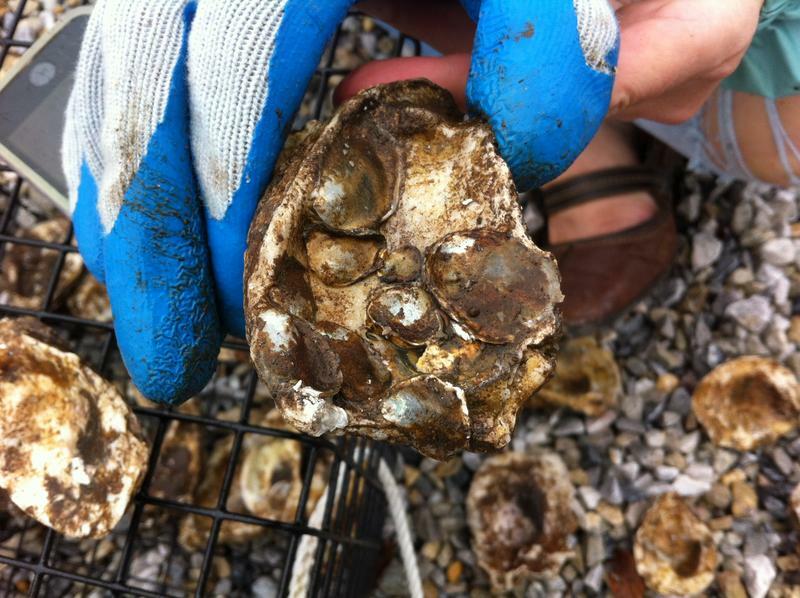 So, environmentalists are trying to rebuild the population by growing oysters. And one of the so-called oyster gardens is in an unlikely place-- Baltimore’s polluted inner harbor. It’s part of the Chesapeake Bay Foundation’s Baltimore Initiative. The Atlantic blue crab, Chesapeake Bay’s signature crustacean, has been through tough times in the last 20 years. Some recent improvement has been credited to restrictions on harvesting females. Yet Virginia still allows the harvest of egg-bearing females, something Maryland banned back in 1917. The reasons why seem to be wrapped up in economics. 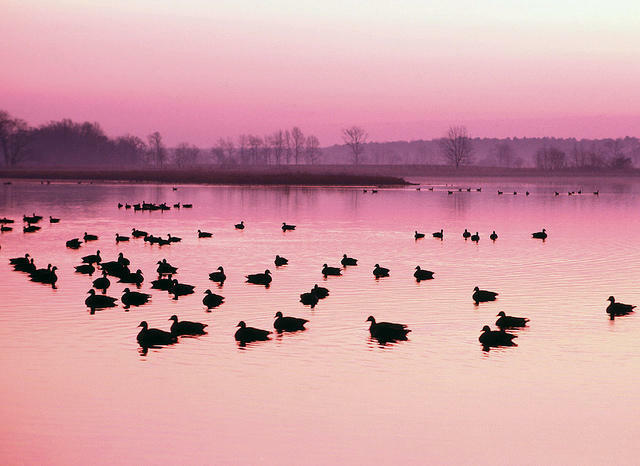 Environmentalists saw a victory last week when congress allocated close to 11 million dollars of the 2016-spending bill for land conservation along the rivers of the Chesapeake Bay Watershed. For the past four years environmentalists from the region have been urging Congress to permanently protect close to 15,000 acres of land in the watershed. Joel Dunn, the President and CEO of the Chesapeake Conservancy based in Annapolis says 35 nonprofits, four Indian tribes, five governors, nine U.S. Senators and 17 members of the house, put together a large proposal to protect vital areas along the rivers of the Chesapeake Bay Watershed and the Captain John Smith trail.